To enter Angola, citizens of all countries except Namibia require a visa. As well as the usual prerequisites involved in applying for a visa (see the “Visa & Permits” section of the Angola guide for more information), health requirements are also an important factor. Angola is notorious for being a high risk country as many harmful diseases such as yellow fever, both hepatitis A and B and typhoid are present. In order to receive a work permit visa for Angola it is important that you undergo a full through a health check. You will also need to present assigned letter from your GP or the respective Health Centre which states that the applicant does not suffer from any infectious disease. The letter must also include HIV test results. 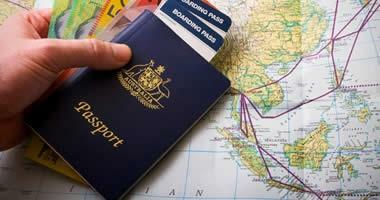 A negative HIV status certificate is required to obtain a residence permit or work visa. In addition, the document has to be translated into Portuguese and authenticated. Work visas are valid for 12 months and can be extended twice. Other visas such as transit and tourist visas do not require the HIV test results but an assigned letter from GP is mandatory. Under International Health Regulations (2005), a yellow fever vaccination certificate is required for all travellers over the age of 1. Although vaccines are efficient, they cannot protect you from everything. Therefore it is important to control your behaviour and prevent bug bites, eat and drink safe, keep away from animals, avoid sharing body fluids, select safe transportation etc. In the capital, Luanda, you can find some good private clinics, however, the facilities are still not comparable with the western standards. Although the medical treatment is free, we recommend that you bring your own supply of medicine for simple ailments such as stomach upsets. The pharmaceuticals on offer may not be what you are used to and can often be difficult to find. It is highly advisable that you register with your embassy once you arrive in Angola, as they can provide you with useful information and contacts. Furthermore they can help arrange relocation if the country becomes unstable for any reason. You can contact the nearest Embassy of Angola if you have any further doubts, as they can provide you with the most up-to-date information about regulations and health updates in Angola. Is Angola your next destination? Integra health guides provide you with more in-depth information about the health care offered in 30 different countries, including Angola.